Independent Apartment in a two-family house obtained from the restoration of a medieval mill situated in a valley of the Casentino. An external covered staircase leads to the first floor. This medieval mill stands in the romantic side of the Casentino Valley located near the village of Talla (1.5 km). This original holiday home (semi-detached duplex house) is situated in this traditional mill house. You can access the living area on the first floor through the covered stone staircase. The heart of the house has a fire place with an open plan kitchen and an adjoining living room. The house is furnished in rustic style. This holiday home offers special attractions for children. There is a private swimming pool with loungers, several pools, streams and also a tiny pond for fishing on this huge, private, fenced property. Barbecue and pizza ovens are available behind the property with comfortable seating arrangement in the garden. There is also a volleyball field, ping pong and several other sports. A very special attraction of this house is the mill that grinds corn into powder. The landlord activates the mill wheel and you can watch it grinding the corn. 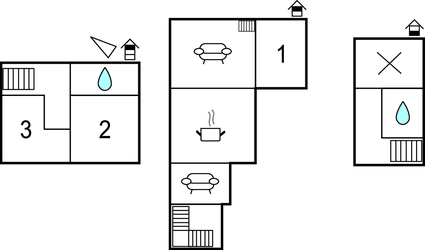 The landlord lives in the adjacent property with a separate entrance. ITA895 is the neighbouring property. Nearest tourist destinations are the castles and boroughs of Casentino, hiking trails through the nature park of Casentino and Pratomagno (1,600 metres), Arezzo (25 km), Florence (80 km) and Talla with its shops, restaurants and bar is just 1.5 km from here. This villa is made from brick or stone and was originally built in 1700 and refurbished in 2000. The agent has rated it as a three star property so it is a well-kept villa, equipped with standard furniture. It is also good value for money. 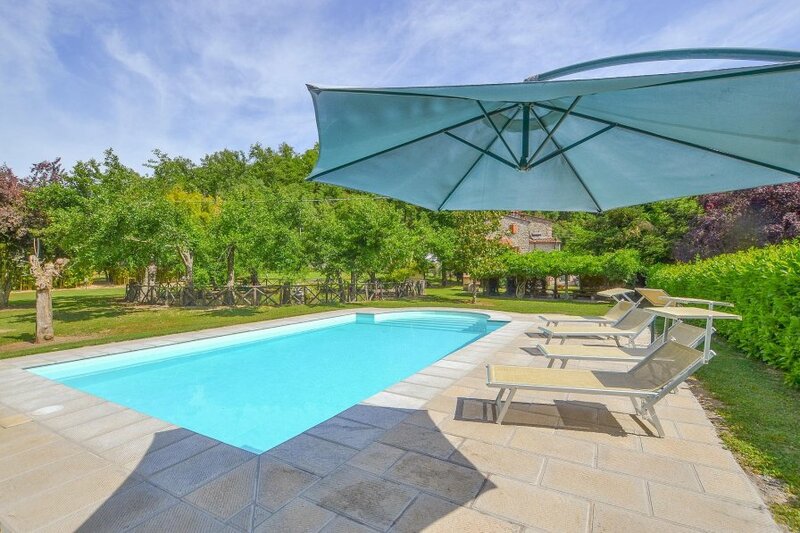 This villa has a private pool and view over the landscape; it is also located in Castel Focognano, only 1.5km from Talla. It is set in a good location: there is a restaurant 1.5km away.